It might not be snowing in Indonesia but it doesn’t mean Silvia Tampi can’t join in the festive fun. 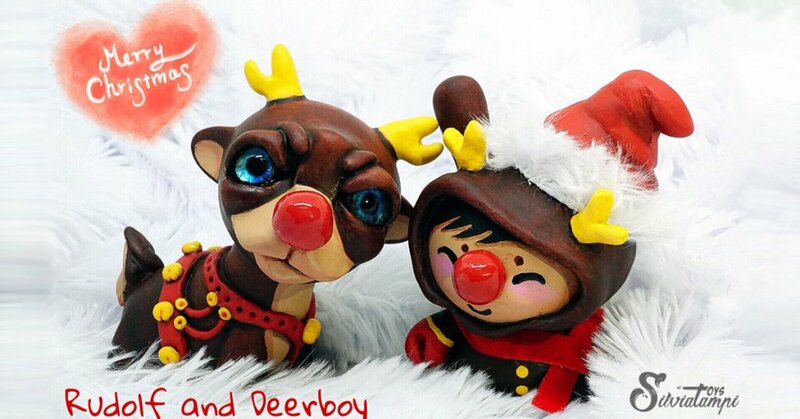 Meet Rudolf and Deerboy custom Dunnys and Raffy! Nice to see the old skool Kidrobot Raffy customised and put a festive theme to it as we don’t see the Raffy used these days. Did Silvia use glass eyes for Rudolf for the first time?